Thanksgiving is the time of year when your kitchen gets a real workout. When else are you making one giant main course, six or more sides and numerous desserts? Is your kitchen ready? Plan ahead, especially when it comes to cooking the bird. 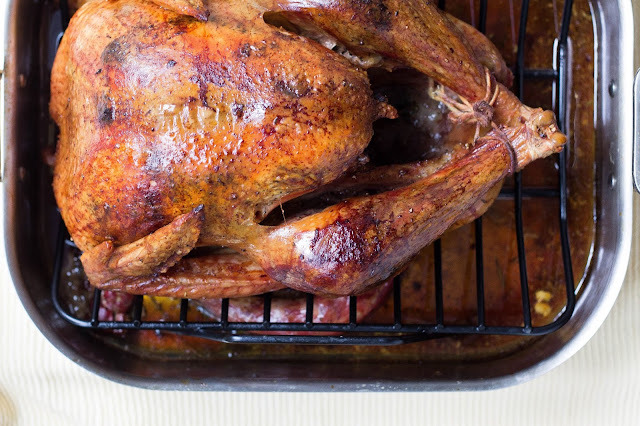 The best method for defrosting a turkey is in your refrigerator, but it takes roughly 24 hours to defrost just 4 or 5 pounds. A 20lb turkey will take 4 or 5 days to thoroughly defrost. Clean your oven the week before. Many ovens have a cleaning feature to burn off any fallen food, grease, and so on. Have a food thermometer nearby. A turkey is done cooking when its internal temperature reaches 165 degrees Fahrenheit. Unplug any unnecessary appliances and put them away to clear counter space. You know you’ll appreciate the extra space. Have plenty of cooling trays and oven mitts on hand to protect both your hands and your counters! Be prepared with aloe, bandages, and cold running water nearby if a burn does occur! Check your smoke detectors. You shouldn’t have these installed directly in the kitchen but they should be installed in the hallways just off the kitchen. Although it might be tempting to turn them off while cooking avoid doing so. Clean the cooktop of your stove. Whether you use a glass cooktop, electric element, or gas, be sure that any excess food or grease splatters are cleaned prior to cooking to assist in avoiding fires. Be sure to have a fire extinguisher nearby. One of the most common types of fire is a grease fire. Although a fire extinguisher may ruin your meal, it may save your home. Stay in the kitchen while cooking, or have someone else watch the food if you need to step away. Remind children to stay out of the kitchen and away from the stove to ensure their safety, and keep pets in another room. A safe Thanksgiving is achieved through preparation. Adequate planning will help ensure a successful Thanksgiving meal with your friends and family.